I was sitting along the first base in the bleacher seats at Space Coast Stadium, Spring training home of the Washington Nationals. There was a group of guys behind me that looked like a high school baseball team. I asked one kid where they were from, he had some clothing apparel on from a company in Milwaukee, for whatever reason that excited me… He told me that they were from Ontario around Toronto. I asked who their coach was, I figured that it would be an interesting story of a Canadian High School Team down at Spring Training. I got a lot more than I hoped for. Not only does this team have a connection to Justin Bieber but their coach is well connected within Major League Baseball. Tom Valcke has been around pro baseball for the last 27 years. He was the President and CEO of the Canadian Baseball Hall of Fame for the past 10 years. He told me as impressive as that might sound, don’t get too excited since part of the responsibilities is to, “take out the garbage and mow the lawn”, he laughs at the thought, adding “Cooperstown has 80 employees, we have two!” The Hall of Fame was started 25 years ago and originally opened in Toronto but was moved to St. Marys, ON to give it more exposure. Tom said, “it was the whole small fish in a big pond deal in Toronto, but it is a slightly larger fish now that it is in St. Marys.” It currently has 80 inductees with 25 ex-major leaguers. One of the most notable is Tommy Lasorda. Big deal you say since Tommy is in eight other Halls of Fame for being a great manager, well in Canada, Tommy was also inducted for is his playing career. Lasorda even showed up for the induction ceremony because of it! Tom grew up in Windsor, ON, just on the other side of the border from Detroit. His love of baseball was cemented when he was eight. The Detroit Tigers won the 1968 World Series, “that feeling and the excitement never leaves you, that is what put the passion into me”, Tom says of the 1968 Tigers. When questioned about his playing ability he told me he was mediocre at best and was one of the last guys picked. That didn’t stop him from pursuing his dream of working in baseball. He studied the game and quickly understood the science and the mechanics of baseball better than a lot of people. I asked his wife Paula, a school teacher, if she liked baseball. She laughed, “I love baseball when my kids are playing!” They have 3 kids. Alanna, 22, a senior at the University of Waterloo, majoring in psychology. “She is on the Dean’s list,” Tom says proudly. A son, Jaxon who’s 17, high school junior at Northwestern High School, and part of the iCASE baseball program (more on that in a moment). Then there is Mia, 14, already plays with Team Canada women’s developmental baseball program that was just down in Cuba training with their National Team. I said Cuba… Tom said, “Cuba”, with a laugh. “We are Canadians, we are allowed to go there”. Tom was a scout for 10 years with the MLB Central Scouting Bureau. He covered Canada for 5 years and then Central California for 5 years. He still does scouting on a consulting basis – i.e. a MLB team might ask him to go into Cuba and check out a few players for them since their American scouts are not allowed to go. He has taught the game of baseball in 22 countries with MLB royalty; Joe DiMaggio, Harmon Killebrew, Hank Aaron, Lou Brock, Tony Gywnn and many more. He said, “Most of those guys knew how to throw and hit a ball. But, they had difficulty teaching the proper mechanics and technics in a way that was understood by new ball players.” This is where Tom excelled. He ran the clinics while those guys drew the players and did the photo ops and autographs. 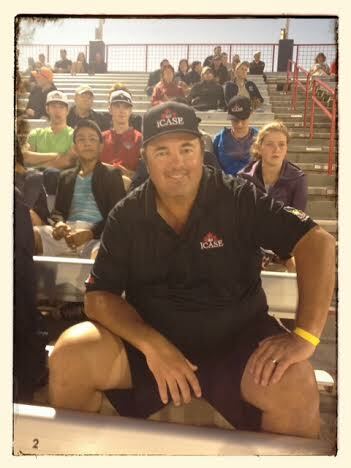 Tom has become very well respected throughout the world for his baseball knowledge and coaching ability. 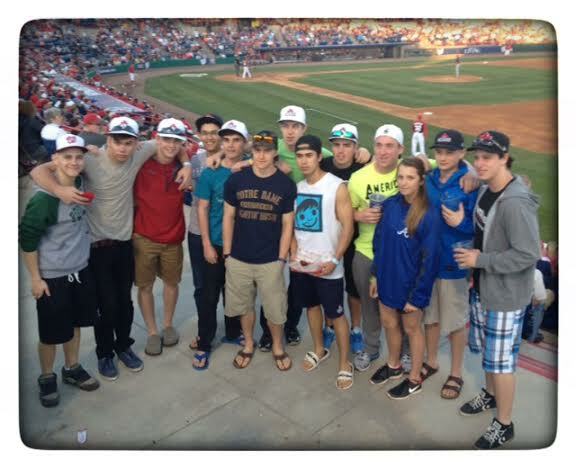 “Based in Stratford, Ontario, and in partnership with Northwestern High School, the Avon Maitland District School Board, and Ontario Ministry of Education guidelines, iCASE is an opportunity for baseball players in their junior and senior years to develop their skills in an academic environment, led by a staff of world-renowned baseball coaches. Click here for more information, http://icasebaseball.com/. This is a great concept where kids can pursue their passion for baseball in the high school setting taking courses such as baseball philosophy, field maintenance, etc… while getting credit for this training towards their diploma. Tom is very grateful that Avon Maitland School District is so progressive. The team needs more “dirt time” (I am using that term, since Tom liked it and I just heard it from my buddies Todd or Bob. Sorry Tom, I played it off like I use it all the time) However, they are progressing nicely in their first fall season. The team played all their games in the states against many established programs ending up with 9 wins and 14 losses. They utilize a 10,000 square foot facility to practice year round but it would be better to be outside. The team was down in South Florida to play some exhibitions games. Tom wanted the kids to see what is happening at the elite level of baseball for themselves. Well, I have to cut this off since I am over my deadline. I enjoyed Tom very much as he was very easy going and quite cordial. I think every Canadian I have ever met is…save a few hockey parents. I also want to mention that if you run into Tom, ask him about the story Harmon Killebrew told him about being scouted. It is a great story!